I am writing this post to introduce 'School Fee Manager' - an application that I have written for a neighborhood Play School. 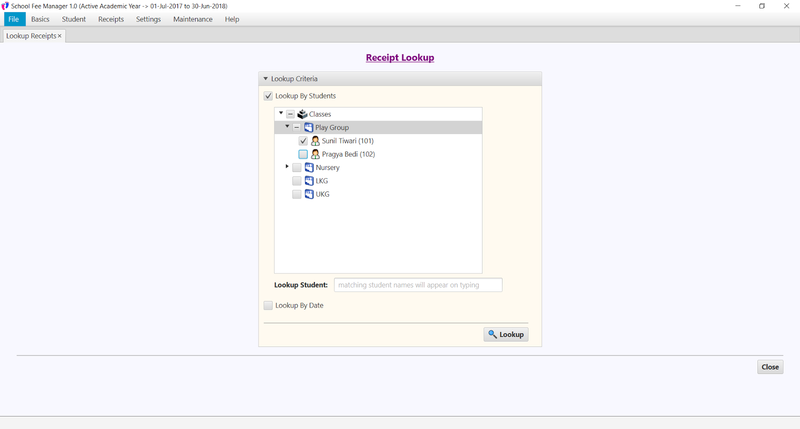 This application manages fee payment records and student registration details. It issues fee receipts, generates few MIS reports, and prints Driver Sheet for school bus drivers' who ferry students to the school. It allows for filtering data on almost every screen where it displays the data so as to enable easy access to the relevant data. The filter facility can be accessed on most occasions by right-clicking a table-cell and choosing appropriate option from the context menu. 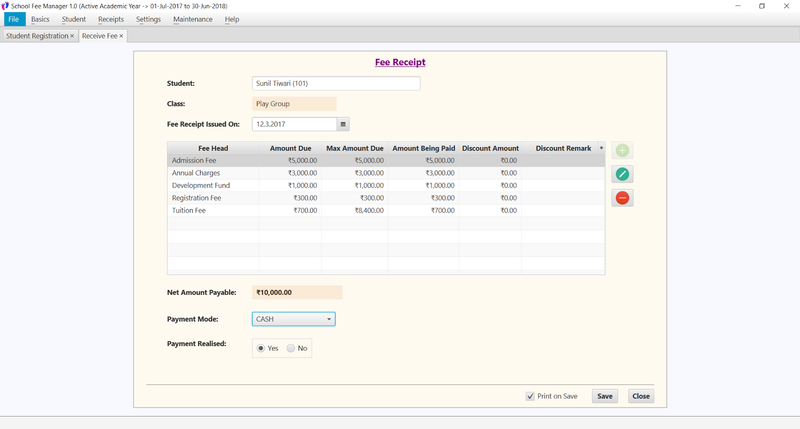 While generating a fee payment receipt, the application auto calculates the fee due, and auto populates the table that displays the fee items being paid. If a student is paying only a subset of the fee items due, then the remaining fee items can be removed from the receipt. 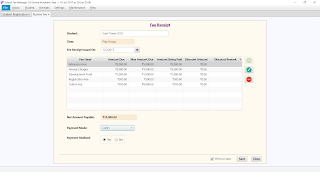 It also provides for editing a fee payment receipt after it is generated to change the payment mode if that may be required. 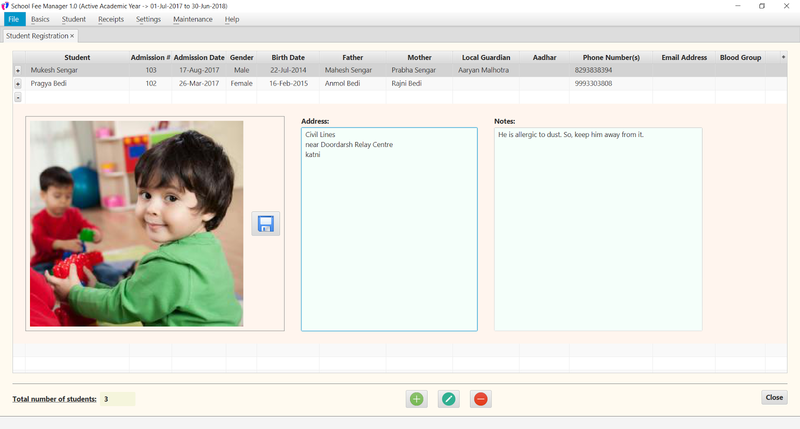 You can see many more screenshots of the application here. 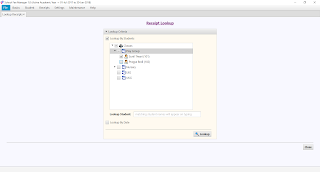 The entire source code of the application as well as its executable file and Windows setup file is available for download. You can download it from here. Please note that you need to have Java SE Runtime Environment (JRE) installed in your system in order to run this application. You can get the latest edition of JRE for your system from here. I trust you will find this application useful. Truly speaking, I myself would have find this application extremely useful if I was learning JavaFX application development. Should you have any query regarding the application, please use the comment section below to communicate with me. Application look good and covers the most of the school management aspects!! Jeevanrahi.com is the most famous Malayalam Matrimonial Sites to find their life partner. Selecting the correct on-line matchmaking service will prove even as vital. we tend to are aware of it are often tough to seek out a compatible match with whom you share an identical background, goals, or beliefs, and in spite of who you will be searching for. I am Male, 37, located in India, and try my hand at writing software to earn a living.